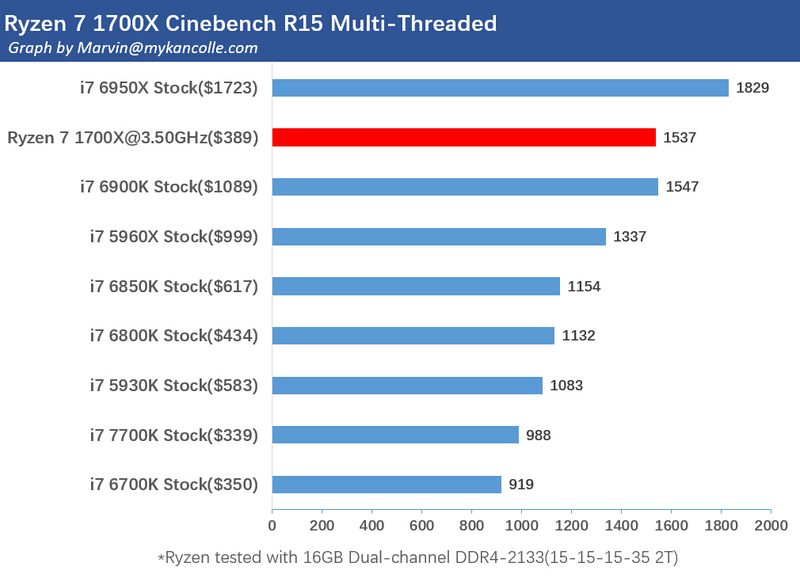 Up to 8 cores / 16 threads (Rumored $300-$400 price vs. Broadwell-E at $1000-$1700). AMD will unify all CPUs on one socket (AM4). To be released in Qty early 2017. @Vitaliy_Kiselev It's been a long wait for sure. Yep, and it is most probably last mainstream processor from AMD before bankruptcy. Today development and preparations costs rise exponentially for each new chip and process and they won't have enough volume to compensate. If you look at game consoles - their manufacturers had been asked and forced to help AMD by placing orders, if not them it will be end of the road already. Their stock price has gone from $2 to $8 over the last 6 months so investors currently believe their plan is on track. Obviously that's no guarantee that the profitability needed to survive will ever materialize. Sales of the RX GPUs has been very good, still a lot of pent up demand. I was finally able to pick up an RX480 and it has been a great GPU thus far. Next-Gen console APU orders are ramping up next year. Zen is launching in qty early next year. Vega is launching late this year, early next year. They may be well-positioned to turn things around or the economy could implode and accelerate their demise... we should know one way or another in the next 6 months. Intel and Nvidia certainly need the competition to help keep prices in check, so I hope they succeed at digging out of their hole. I am sure we will see more desperate attempts to save them. But physics and economic laws are inevitable. 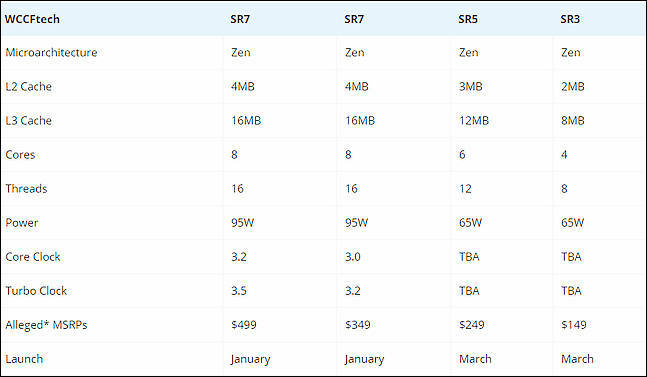 Intel practically being alone in the segment of shipping high-end CPUs has brought us a situation where high-end CPUs have become ridiculously overpriced in comparison to mid-range CPUs, and investments in actual innovations have decreased. So both private and business customers have very good reason to keep AMD alive, and even Intel has a vested interest in not letting AMD die, as Intel would face more anti-trust regulation if they were completely alone. I would have loved to see any non-x86 high-end CPU to be marketed at competitive prices, but alas, no company dared to really try this. And even Intel failed to install "Itanium" as an alternative. High-end ARM CPUs have kind of been promised for years now, but remain in the low- to mid-range performance region. Maybe someday the Chinese will sell a high-end-CPU of their own, they have at least become very good already at sticking together vast amounts of mid-range CPUs to form "Super Computers". Intel would face more anti-trust regulation if they were completely alone. And why you are so sure about any anti-trust actions? All this thing exist mostly for PR and media. Plus Intel is hardly alone in the CPU world these days. Arm is in a few devices now too. I, for one, would love to see a cheap octacore HT with a two chip MB for 32vc or more. Unlocked, of course. 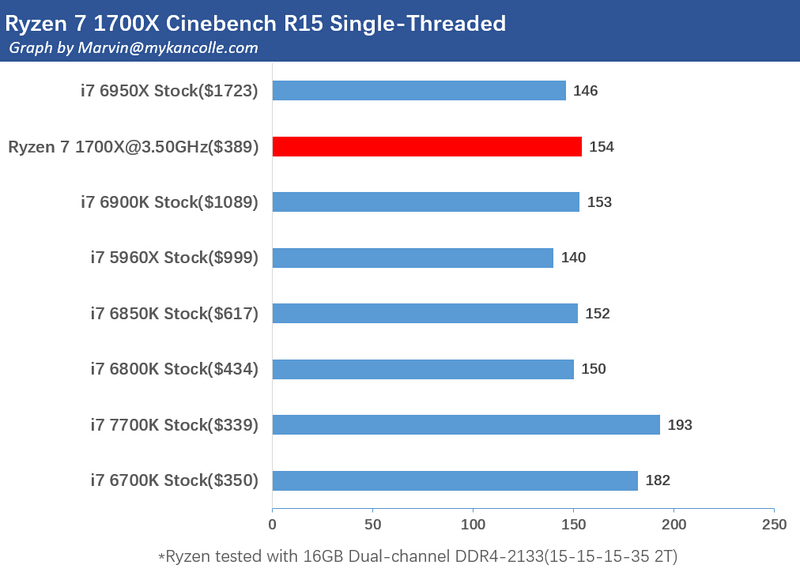 If they can hit around 3.5Ghz on the 8 core chip at a reasonable cost I'll probably take the dive. Building a new render box early next year. Interesting. It seems finally after almost 10 years amd is on track. I used to like very much athlon xp and that era. They where good performers. They put on global foundry even, but with all the hype on track their nex generation could not go on par with intel. Who would know that from israel a gruop of fucks would grab pentium 3 mobile arquitecture and update it and make intel core arquitectue. From that point AMD never recovered. It savior was the aquisition of ATI. Smart move. 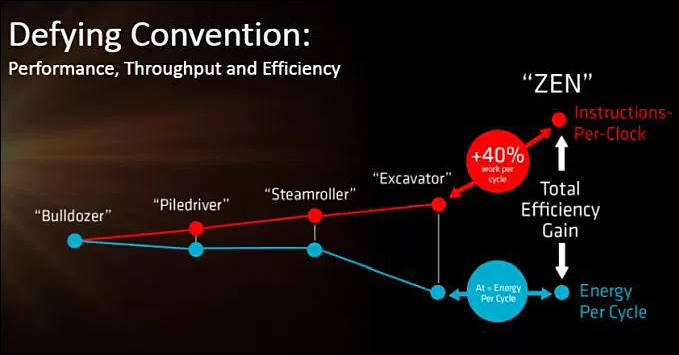 From my personal view amd has a better overrall concept of integration and computing power generators than intel. It was not allways like that since in the begining they cloned very much allways intel arquitecture via reverse engeniering. But since athlon the had a better understanding of scaling power. Its sad that it was only on paper. Their server techonology was also very good. opteron era good times. Seems to me that if in this last effort they manage to bring something special they may hit the jackpot at those prices and get the cash to steal some engeniers from intel at that lab in.israel. Its known that only some few experts maybe only the fingers of one hand or less has the real kwolege to make advancd lithography. Since its kind of and art or kind of artisan level mixed with extremely high tech. Its not only formulas its very complicated thing for a proper proces to be itinerant and completed. But without fab that quote is stupid. I wishe them luck and spect to see them grow some bit more. X86 arquitecture is not.the best arround, and for some.time even now i think AMD is slowly moving apart from it, even.though the.made.x86-64. Their.integration of their gpu and .the.way they handel x86 cores iz very difrent from intel. It would.be no surpice.if.theycome.in future with. Some completely new.instructions.set and run it parralel to its x86 range. The dynamic boost, XFR and MI tech is very interesting. And the 3.4 Ghz seems like a respectable base clock for a completely new architecture. Also seems like the IPC gains are real enough to force Intel to bring out some new tech or drop their prices. We probably won't see pricing until at least CES, however. 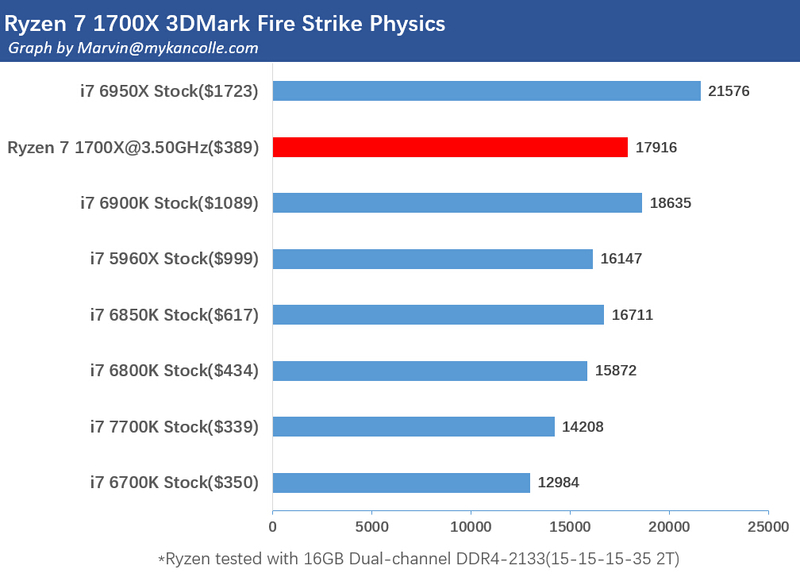 I'd also love to see a beefy quad-core in a Surface tablet or ultrabook, that Raven Ridge APU should make it possible this year. It would be nice to be able to edit 4K on the road without needing to drag a 5-6 lb notebook along for the ride. It is all good and fine, but for video it is more important to have software support and analog to QuickSync. Agreed. Much more efficient to encode on GPUs or CPUs w/Quick Sync when supported. However, that makes me wonder if the Handbrake demo had Quick Sync enabled on the Intel cpu. 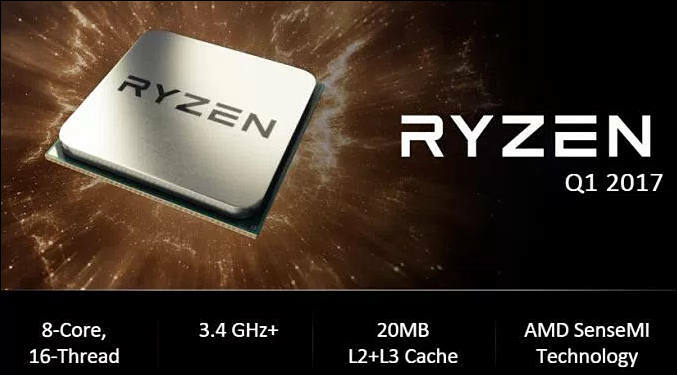 If it was enabled, does that mean the Ryzen chip had a similar instruction set and dedicated core allowing for faster encoding performance? Or is the machine intelligence capability smart enough to recognize the task parameters and respond in real-time without relying on a predefined instruction set? And if so could such a design architecture be the beginning of the end for specialized instruction sets like AVX, SSE, ect. (in a few more generations)? The concept of Smart CPUs is kind of intriguing. It would be beneficial to the consumer from the standpoint that proprietary instructions would become less of a barrier for proper software integration. It might even make programmers' jobs easier. But with around 99% probability in coming 1-2 years all NLEs won't support any encoding present in Ryzen. GPU encoding also is efficient for GPUs that have special dedicated encoding pipelines, almost all of them now are less efficient compared to QS. Well, it's probably a long shot, but certainly possible that AMD could actually license QS from Intel in a technology IP swap - https://www.extremetech.com/computing/240714-amd-may-license-radeon-graphics-ip-intel-use-desktops-high-performance-computing Maybe they already have and that is why the Handbrake demo was so close. It is rumor and has nothing to do with QS. The rumor doesn't specifically mention Intel QS, but that's how these types of deals get done. AMD gives up iGPU IP for cash, and may ask for some Intel licensing back as part of the deal. The fact they're talking about IP deals at all leaves the possibility wide open.